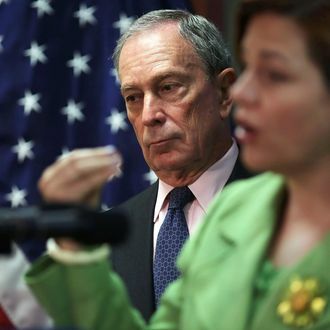 Bloomberg caught daydreaming about Mayor Zuckerman. Bloomberg may be overlooking another potential candidate standing right next to him (not his sign language interpreter, though he’s asked nearly everyone else). While it seemed that after months of dancing around the idea Ray Kelly had decided not to run, the Times reports that the police commissioner’s allies “are again discussing the idea of his entering the race as a Republican.” There’s still hope that the real election will be more interesting than the race involving Bloomberg’s fantasy team.